e still believe in boo-hissing. It's a lost art really. Our Boo Hiss awards are for those products, businesses and people who deserve to be Boo Hissed for letting us down. Back in 2000, Sony botched the PS2 launch pretty badly. People stood in lines overnight to get them, pre-orders weren't filled and many of the systems were sold on eBay by scalpers cashing in on the frenzy. Fast forward six years later and it's the exact same story all over again, except this time the price is insane! Sony you should have known better. Your customers deserve far better treatment. Boo Hiss! 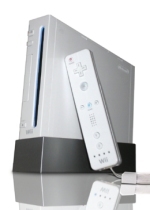 We like the console, honest, but we're not crazy about the insanely short battery life of the Wii-motes, the fact that the online servers are slow or completely over-taxed resulting in error codes, the downloadable updates that konk out the systems or the fact that the Virtual Console games mostly blow chunks. Get it together! You've had 5 years to plan this and get it right, quit doing your homework the night before its due! Boo Hiss! We love the game Bully, but we were a little freaked when it was discovered that you could actually make out with a dude. Huh? Rockstar are you guys trying to give Jack Thompson a heart attack? Like Seinfeld we're going to adopt the "Not that there's anything wrong with that" line, but it's really not appropriate or necessary as far as we're concerned. Boo Hiss! Want extras without having to unlock them the old-fashioned way? How about paying for them via a micro-transaction? Each micro-transaction will cost you around $3 - $4. We see this is a dangerous precedent which, if supported by impatient or untalented gamers, will send the wrong message to game publishers. Could paying for cheats become the norm in a few short years? Boo Hiss! E3 as we have known it for the past 11 years is no more. Instead of a loud, obnoxious parade of lunacy starring the game industry and tens of thousands of overweight fanboys, it will now become what it should have been all along - an intimate, professional affair where business can be conducted without women in bikinis and free t-shirts. Why are we Boo Hissing this change if it sounds like we're actually for it? Because it should have been done years ago! Boo Hiss! Remember when PC games were the products that needed patching after release? Not anymore! Console games are now getting the same treatment - Call of Duty 3, Splinter Cell: Double Agent, Call of Duty 2...and the list will continue to grow. If we buy a game we should at least expect that it will work. Some of us will be able to download the patch easily, but the majority of gamers don't even know how to hook their systems up to the net to do this - even if the service is free. Boo Hiss! Nice going Sega! You've had at least 7 years to correct the original design flaws in your Sonic the Hedgehog games and you continuously ignore them, as if they didn't exist or worse yet, pretend as if they're part of the gameplay! Clipping through the scenery because you're going too fast or falling to your doom because the camera spazzed out wasn't fun in Sonic Adventure on the Dreamcast back in 1999. What makes you think it's acceptable in 2006? This is no way to treat a world-reknowned mascot! Boo Hiss!